Haven’t you always wanted to blow up the Death Star…literally? All you need is a good set of lungs or a bike pump! 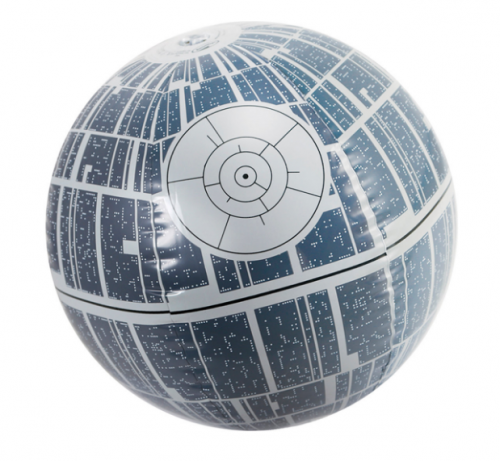 Y’all, not only can you BLOW UP THE DEATH STAR into a beach ball…you can blow up the Death Star into a beach ball that lights up! Fun in the sun or under the moon! Nighttime volleyball on the beach, anyone? Grab it for $6.93 during Hot Topic’s 30% off sale! Hurry! The sale’s almost over! Because everyone needs a death star in their pool!